Try out a new nickname! High-quality t-shirt featuring Kenny Powers from Eastbound & Down. 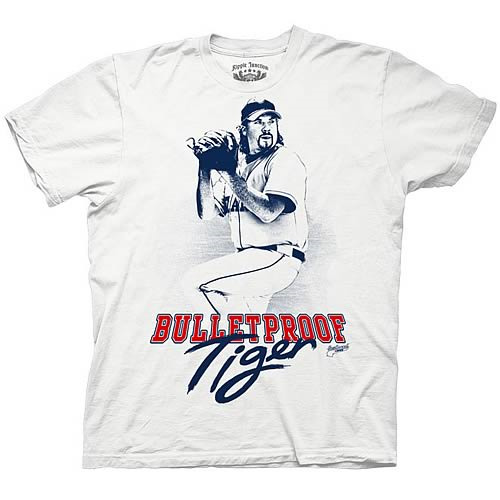 Try out a new nickname with this 100% cotton, white Eastbound & Down Bulletproof Tiger T-Shirt! Features actor Danny McBride as the trash-talking Kenny Powers. Machine washable. Order yours today!